Hmnn...lets see, videoblogs have peeople in them dont they? 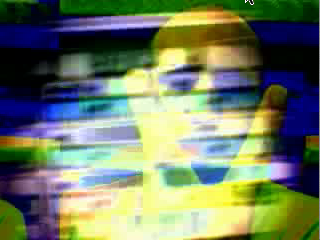 Figured it was about time to come out of the closet and give u all a hint of what the exiledsurfer looks like when producing his content for the artificialeye...a self portrait, so to speak, closer to what most videoblogs are about... no speaking though, just a hot track from mashuptown, Devoutcast. Draw your own conclusions.